1. Lightly toast the almonds in a 350 degree oven, about 8-10 minutes. 3. Sprinkle the maple sugar over the top and stir all together with a spoon to mix the sugar and the water with the almonds. 4. 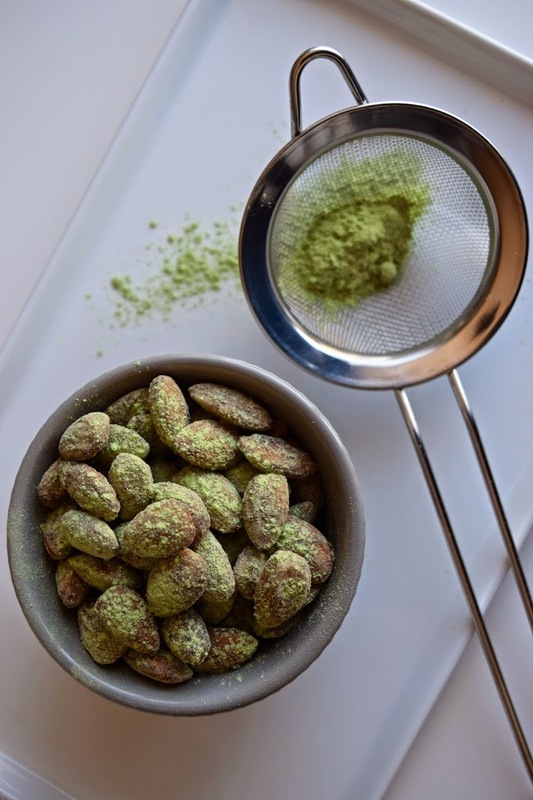 Turn the heat to medium and cook, stirring constantly, until the water has evaporated and the maple sugar is just beginning to look slightly white and chalky around the almonds. (first it will look wet, then it will cook and smell super caramelly and then it will start to look the tiniest bit white and chalky when the sugar has dried-that’s when you know it’s done!). 5. 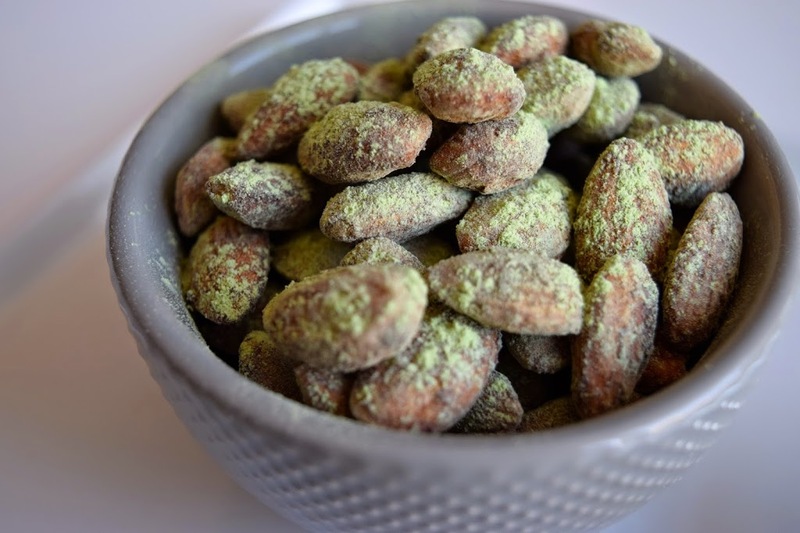 Pour the almonds into a bowl or onto a tray and sprinkle immediately with the matcha powder and some sea salt. *to make nut free: substitute pumpkin seeds for the almonds. You only need about 5 minutes to toasted them in step one. Following that, continue with all the instructions.